WooCommerce is the most popular free solution for eCommerce on WordPress. WooCommerce was acquired by WordPress creators Automattic, so we can expect that much will be done to make WooCommerce the official solution for WordPress eCommerce. Thankfully, WooCommerce is also one of the most widely supported WordPress eCommerce plugins. It is the one we have recommended from the beginning and the one we support the most. Our pro themes are even developed with WooCommerce support in mind. Read the resource to find out how easy it was for a business to take a WordPress theme and WooCommerce and build an eCommerce website. Let’s start from the beginning. Perhaps you are JUST beginning to build your first site and heard that WordPress and WooCommerce would be the best platform. It is certainly the most affordable. Buying your web domain or URL (ie. yourbusinesswebsite.com). This can be done with the help of websites like Namecheap or GoDaddy. Setting up your web domain on a web host. We have found the best support and uptime with WordPress website hosting comes from our friends at SiteGround. If you use SiteGround, they will even create the one-click WordPress install for you so that you don’t have to do any of the extra setup. Don’t let the initial setup process scare you. While necessary to starting with your WordPress and WooCommerce website, the tools we provided above make the process fairly simple. If you are truly looking for help with the initial setup of your WordPress website beyond what is offered above, you might consider contacting us for one of our Hassle-Free theme setups. The first and simpler solution is to “Discourage Search Engines from indexing the site” from Settings > Reading in the WordPress dashboard. This will prevent people finding your site on search engines like Google. There are two problems with using this method. The first is that it is easy to forget that this option is checked. If you forget to uncheck it at “launch”, nobody will be able to find your site on a Google search. The other issue is that the website is technically visible to any user. If I know the URL of your website (ie. website.com) I can type it in to the bar on my browser and view your work in progress. 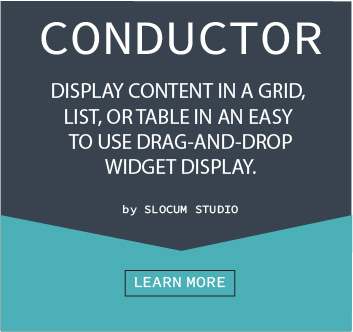 You could also try using a Coming Soon plugin. We looked at a couple in our PressThis series, and the one we use the most is Ultimate Coming Soon plugin by John Turner. It is a free plugin that has a one-click solution to putting up a Coming Soon page to other users. Coming soon plugins are a great solution since they provide one view to people who do not have admin access to the site while allowing website owners to log in and see what their website will look like. The only issue with the coming soon plugin is that you have to be logged in to view your website. Once your website is up and coming soon is installed, it is time to grab the theme that you will want to use. For this, we recommend the FREE Simple Shop WordPress theme, which was developed and designed with eCommerce and WooCommerce in mind. The theme has been downloaded over 16,000 times, and is trusted to run a WooCommerce website. You can customize colors and the front page with Simple Shop and customize the fonts very easily with Simple Shop Pro. The next step, once you have laid the groundwork with the WordPress host and the theme is to set up and install WooCommerce. Setting up WooCommerce takes quite a few steps depending on what you are trying to sell. Simple Shop Pro takes care of some of the work for you. It interfaces with WooCommerce to bring visibility to the Cart page and Checkout page from the top of the website. You will still need to set up the WooCommerce pages for checkout, terms, and cart pages using the links above. Once you have created the cart page, you can link to the cart page in the top or primary menu, and the Simple Shop theme will display the current dollar amount and number of items in your cart, rather than the “Cart” name. This provides a more customized experience for the shopper. Note: This technology has also been developed for use with popular plugin “Easy Digital Downloads”. 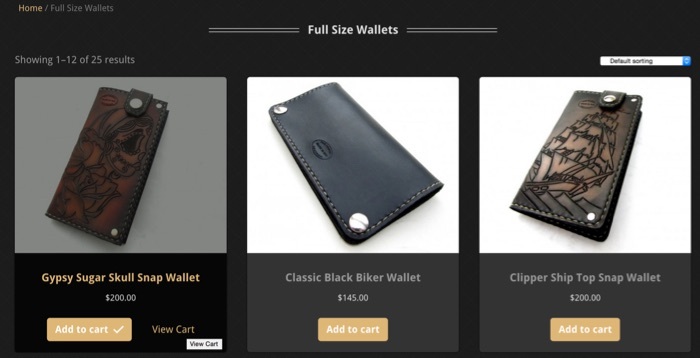 Many people are not happy with the default square display of WooCommerce products. 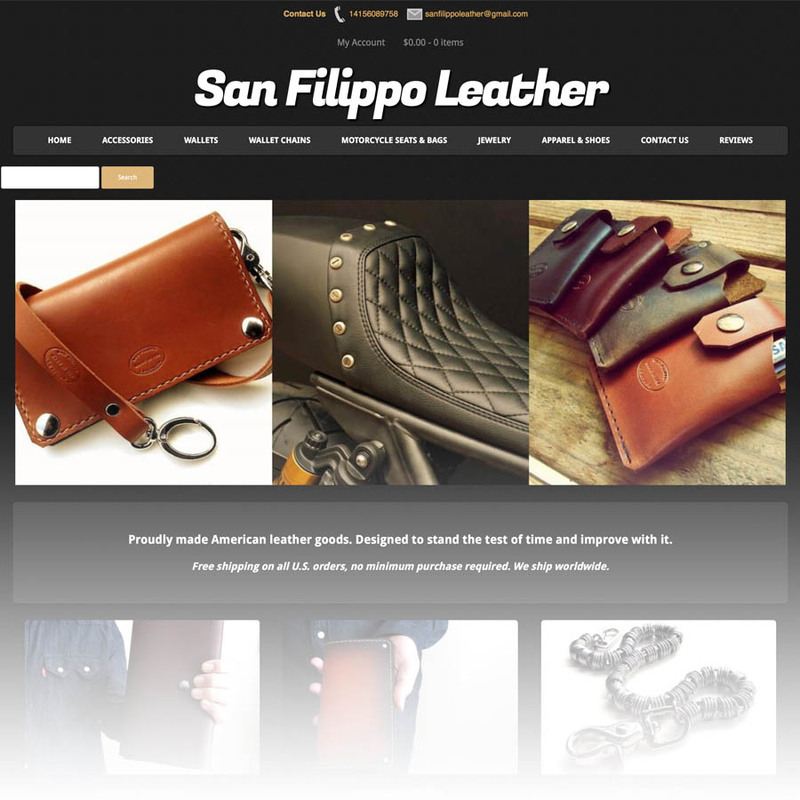 In the case of San Filippo Leather, all of their product photography for their product categories needed to be 425 wide x 354 pixels tall. We were able to provide them with some code as part of their pro support to allow the product displays to conform to their site. This meant that the company did not have to redo all of their professional photography. Rather, the theme bent to the needs of the product photos. Need even more help building your website? Does it have more complexity than is discussed here? Look into one of our theme setups or contact our agency if the WooCommerce website is being built on a massive scale and you are on a time-crunch. If you have any additions or suggestions to the above content, let us know in the comments below! Are WP free themes mobile friendly?